The celebration of God’s grace, justice, and power ought to be more than an occasional thing for the believer. Those individuals who make time twice a year (Christmas & Easter) to reflect on God are not really interested in who He is, but are more nostalgic about the holiday seasons. God has expected and commanded that regular reminders of His character and work are to be built into our lives. He did this with Israel by building into the very rhythm of their life these religious celebrations. Likewise, we ought to see the value of scheduled worship. 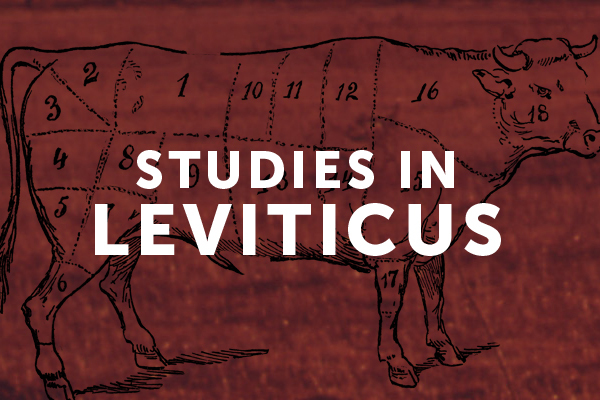 Leviticus 23, like preceding chapters, can be broken down by virtue of the recurring phrase: I am the Lord Your God. This phrase is used to mark out two major divisions of God’s description of the annual festivals of Israel: (1) Spring festivals (v. 5-22), and Autumn festivals (v. 26-43). In each division we see several festivals described and God’s instruction about them focused around a specific sacrifice or offering. The point of the text is to provide for the laymen in Israel a calendar of worship, a built-in reminder of the praise and thanks that is due their covenant Lord. The chapter begins, however, with not an annual festival, but with attention given to the Sabbath, a weekly festival that involved, similarly, a time of rest from work (v. 2-3). The theology of the Sabbath is significant. It would take us too far afield to spend all our time focused on that one festival (I have written about it elsewhere for those interested). It is worth noting, however, that the intent is to reminder the people that they are regularly in dependence upon God, both as Creator (Genesis 2:2-3; Ex. 20:8-11) and as Redeemer (Deut. 5:15). So, keeping the Sabbath was an important part of Israel’s worship, and its weekly rhythm kept God’s grace and salvation ever before them. The whole chapter covers a number of different feasts. Verses 4-8 discuss the Passover, or the Feast of Unleavened Bread; verses 9-14 address the Feast of First Fruits, the harvest feast; 15-22 the Feast of Weeks; verses 23-25, the Feast of Trumpets; verses 26-32, the Day of Atonement; and finally, in verses 33-44, the Feast of Booths. Each has a specific function in reminding Israel of the God of the covenant and their due responses to him. The regularity of the feasts, however, is the important point of focus for our study. The rhythms of worship are important. We tend to think that only the spontaneous are truly genuine, but that’s an assumption we’ve made. The truth is that the planned and repetitive nature of these feasts was intended not to make worship merely a formality, but rather to make it a regularity. Routine is that not the enemy of sincerity. In fact if we are always waiting on the “moment to strike” we may fail to engage in any meaningful worship whatsoever. God prescribes this regularity in worship in Israel precisely because He does not want them to lose sight of the covenant, or of Himself. The regularity is intended to be an encouragement to the sincerity of their worship. James K.A. Smith says we have a “quantity of immersion” problem in American Christianity (see Desiring the Kingdom). As American Christians we are immersed day after day in the sinful culture around us. That culture is shaping and influencing us whether we realize it or not, and the liturgies of our culture are forming habits and practices in us. We are naïve to think that a once-a-week meeting of Christians for two hours on Sunday morning is a sufficient response to this immersion problem. We need habits of worship that reorient us. The Festal calendar of the Israelites was such a means. The New Testament too has some similar encouragements to routines of celebration. The New Testament church is not anti-routine. The most noticeable scheduled worship event is the feast we call The Lord’s Supper. Patterned off of the Passover, the Lord’s Supper is to be celebrated with regularity. The church is commanded to celebrate this memorial, and the Scriptures recording that it was part of the early church’s weekly pattern (Acts 20:7; see also 1 Cor. 11:20). We are commanded to do this activity as a proclamation of the Lord, “until he comes.” The frequency of the Lord’s Supper is intended to regularly draw our minds to the sacrifice of Christ, the cross, and atonement. It is important that such a practice not be neglected.Likewise, the corporate gathering of the church, though a routine and regular thing, is important. It ought to be regularly scheduled because our gathering is an important occasion for worship, growth, reorientation, and fellowship. The Hebrew author warns the church that they should not “neglect the assembling of yourselves together” (10:25). Rhythms of worship are as valuable for us as they were for the people of Israel. And while we do not celebrate the exact same feasts, we should celebrate regularly and with routine the work of Christ and the character of our God. Routine is good for us. Scheduled worship can still be true worship.